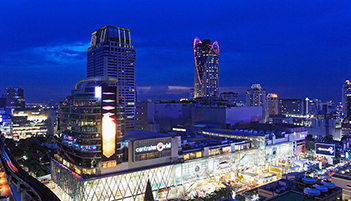 Join us in Bangkok for our upcoming 9th Annual Congress on Anti-Aging and Aesthetic Medicine: a three-day opportunity that allows you to further your clinical education, network with other healthcare practitioners and professionals, and reaffirm your commitment to Anti-Aging Medicine. Dr. Maroon is Clinical Professor and Vice Chairman of the Department of Neurosurgery and the Heindl Scholar in Neuroscience at the University of Pittsburgh Medical Center, Pittsburgh, PA. He did his undergraduate work at Indiana University where he was a Scholastic All American in football and received his medical education at Indiana (Bloomington), Oxford (England) and Georgetown Universities and the University of Vermont. He is on the board of directors of Mylan Laboratories and chairs their Science and Technology committee. In 1990 he co-developed the ImPACT neurocognitive test which is the only FDA approved test for concussion assessment and is the standard of care in most amateur and professional sports organizations. He is also chairman of the Scientific Advisory Board to General Nutrition Corporation, chairman of the Medical and Scientific Advisory Board of Stemedica, a pioneering company in the therapeutic use of stem cells and senior vice president of the American Academy of Anti-Aging Medicine (A4M), one of the largest medical societies in the world for preventive medicine. He has been the team neurosurgeon for the Pittsburgh Steelers for 30 years and the first neurosurgeon directly appointed in the NFL. In November 2016 he was appointed to the Scientific Advisory Committee of the Chuck Noll Foundation dedicated to research and education in the prevention and treatment of sports-related injuries to the brain. He is a senior member of the NFL Head, Neck and Spine Committee and also medical director of World Wrestling Entertainment Corporation (WWE). He has published over 270 peer review papers, 54 book chapters and 5 books. In 2017 his book on overcoming adversity and “burnout”, Square One—A Simple Guide to a Balanced Life, was favorably reviewed by Dr. Sanjay Gupta, John Scully, Greg Norman and others. In 2011 he was recognized as an Indiana University Distinguished Alumnus, an award given to 5 individuals out of 500,000 alumni annually. He retains a strong athletic interest having competed in 8 ironman distance triathlons, five at the annual World Triathlon Championship in Kona, Hawaii the last in 2013. In 2016 he placed first in his age group and fifth globally in the Ironman 70.3 triathlon. He was inducted into the Lou Holtz Hall of Fame along with Joe Montana and Kareem Abdul Jabbar for athletic accomplishments and contributions to sports medicine He was also inducted into the National Fitness Hall of Fame in Chicago and the Western Pennsylvania Hall of Fame. He is frequently quoted as an expert source by national media including The New York Times, USA Today, Associated Press, ESPN, Sports Illustrated and ABC News Nightline. John E. Lewis, Ph.D. is an Associate Professor in the Department of Psychiatry and Behavioral Sciences at the University of Miami Miller School of Medicine. He is a member of the Legislative Oversight Committee and the Medical Library Committee. He is a Scientific Investigator at the Corporación de Lucha Contra el SIDA and the Fundación Valle del Lili in Cali, Colombia. Dr. Lewis is the principal investigator of multiple nutrition, dietary supplement, exercise training, and medical device studies. He has co-authored more than 170 peer-reviewed scientific articles, has been an invited speaker at multiple international and national conferences, and has mentored many undergraduate, graduate, and medical students in exercise, nutrition, and health promotion. In addition to his professional accomplishments, he is a former athlete and competitive body builder, who maintains a very rigorous exercise training regimen and has eaten a whole-food, plant-based diet for over 19 years. 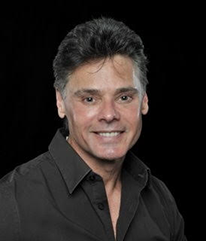 Joseph Cleaver, MD, ABAARM, is an internationally recognized expert in functional sports medicine, exercise and longevity, men’s health, and the cofounder of Paradigm Wellness Medical Group Inc. Napa, CA and Dallas TX. Board certified in internal medicine, and a rheumatologist focusing on medical orthopedic treatment of sports injuries, chronic injuries and other disorders of the musculoskeletal system, which includes bones, joints, ligaments, tendons, muscles. He has been practicing medicine since 1990. A fellow of the American Board of Anti-Aging/Regenerative Medicine (ABAARM), Dr. Cleaver is board-certified in anti-aging and regenerative medicine and a member enrolled in the fellowship program at the Institute for Functional Medicine. 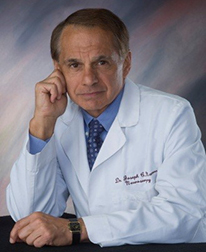 He has achieved certification by the ABAARM in Advanced Metabolic Endocrinology and specializes in men’s health and bioidentical hormone balancing. He is a member of the Institute for Functional Medicine. Dr. Cleaver received his medical degree from the University of Rome, Italy with a strong emphasis on nutrition. With his medical education, hands on experience and a strong interest in nutrition while living in Rome, he is a strong proponent of the Mediterranean diet and active lifestyle. During his time in Italy, Dr. Cleaver developed an in-depth understanding of the impact of the Mediterranean diet and lifestyle on the prevention of chronic illness, longevity, and quality of life. 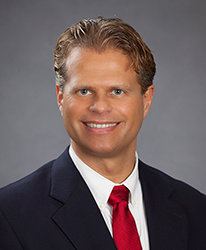 Following medical school in Italy, Dr. Cleaver returned to the U.S., completing his residency in internal medicine at Robert Wood Johnson - Jersey Shore University Medical Center, and a fellowship in rheumatology at the University of Miami's Jackson Memorial Hospital. Prior to opening Paradigm Wellness Medical Group Inc in Napa and Dallas TX, Dr. Cleaver was an assistant clinical professor at University of Texas, Southwestern Medical Center. Subsequently, he joined the Cooper Clinic/Cooper Institute in Dallas, Texas, a nonprofit research and education organization dedicated globally to preventive medicine. From 1996 to 2009, he conducted hundreds of clinical trials, researching the effects of lifestyle, pharmaceuticals, and nutraceuticals in the treatment of hypertension, cardiovascular disease, diabetes and metabolic disorders, weight loss, exercise and longevity. As Head of The Division of Clinical Research and the Human Performance and the staff physician for the personal trainers certification program at the Cooper Institute 2006 -2009), he collaborated on the continued advancement and improvement of the CCLS (The Cooper Clinic Longitudinal Study) that contains more than 250,000 records from almost 100,000 individuals representing more than 1,800,000 person-years of observation. He has authored and published research and textbook chapters. He has conducted NIH research, funded by Homeland Security grants, assessing the health and developing fitness programs for first responders, focusing on first responders. He currently is a staff writer for several international sports and anti-aging magazines. Currently, he is co-authoring the exercise and muscle health chapter for the George Washington Medical School Integrative Medicine textbook. Throughout his career, Dr. Cleaver has been dedicated his career to anti-aging, and sports performance and sports injuries. At the Functional Human Performance Lab in Napa, California he conducts VO2 max, metabolic efficiency point, aerobic and anaerobic threshold testing on elite athletes. Combined with functional sports nutrition counseling and sports nutraceuticals, he designs comprehensive winning strategies for cyclists, triathletes, endurance and ultra-runners. The lab also focuses on the prevention and treatment of sports injuries and osteoarthritis with Platelet Rich Plasma therapy (PRP). As a PRP expert he applies this cutting edge regenerative medical science in the treatment of hair restoration, aesthetics - skin and face rejuvenation. Currently, he sees patients at his Paradigm Wellness Medical Group Inc offices based in Dallas, San Francisco, and Napa Valley. He is on the teaching faculty at the Metabolic Medical Institute, the American Academy of Anti-aging and Regenerative Medicine (consulting physician for the development of the men’s health certification program) and a professor at George Washington University School of Medicine.